I found out in the course of this arduous research that both Franzia and Almaden are owned by some mega vino behemoth named the Wine Group or “TWG”, which also owns Corbett Canyon, Glen Ellen and many others, while Vella, whose family has long ties with Ernest and Julio Gallo, is part of the even larger E&J Gallo wine empire. 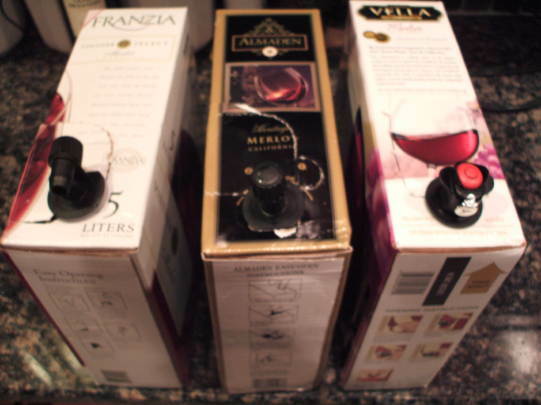 Each box holds 5 liters of wine, the equivalent of 6 2/3 bottles. I paid $14 for each box, so that means each ‘normal’ sized 750ml bottle cost $2.10. That, my friends, is change I can believe in. The Franzia and the Almaden both used a ‘screw’ type tap, with the Franzia’s being on top whilst the Almaden’s was rotated 90º forward to the front. The Vella’s was a spring-loaded push button dealio. They all worked fine for the pouring, but Almaden lost points when it slowly leaked precious wine out when I didn’t take care to make sure it was totally closed…an easy thing to do when one is making one’s way solo through 15 liters. to ensure that my data was accurate. 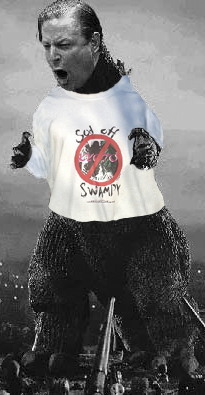 Some might call it an obsession, but I feel that you deserve my very best effort. Pretty early on I have to say I had decided on third place. 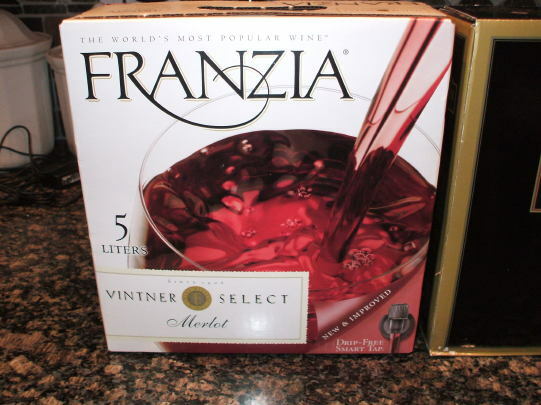 Least favorite was the Franzia. While it had a smooth mouth feel the wine exhibited some mildly unpleasant grapefruit notes and was noticeably more acidic than the others. 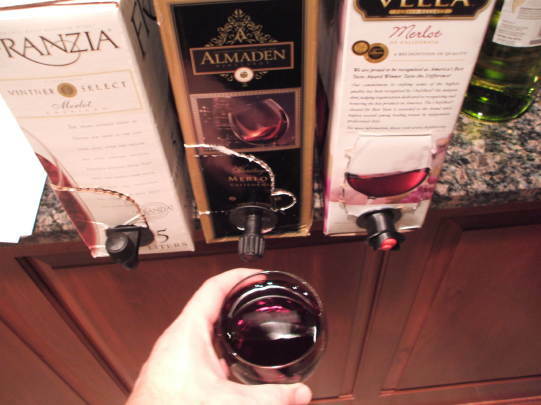 To me the Almaden and Vella wines were clearly superior to the Franzia, but in different ways. 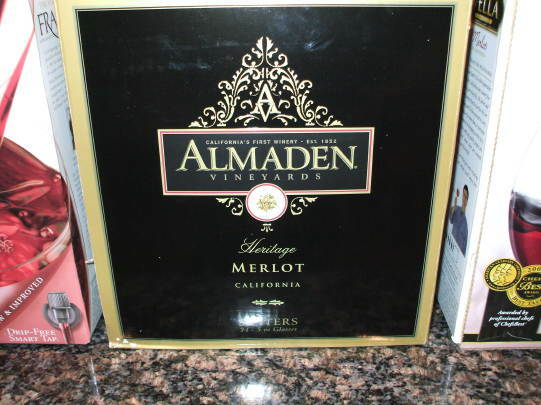 The Almaden had the most distinct merlot varietal flavor, with more pronounced cherry fruit and tannins giving it a more complex ‘edginess’ then you might expect; certainly this would be more at home in a bottle costing, say $8 than $2, while the Vella had a very smooth fullness to it. 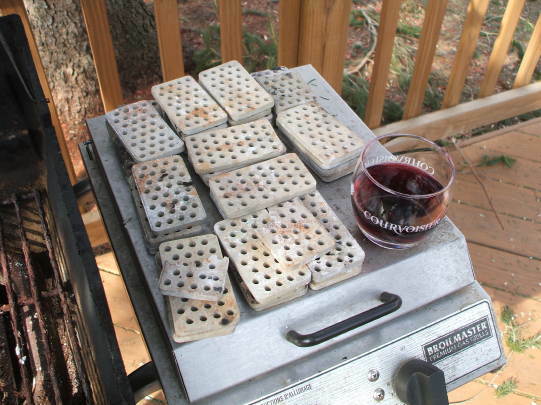 The fruit and tannins were there but in a more elegant, subdued fashion. 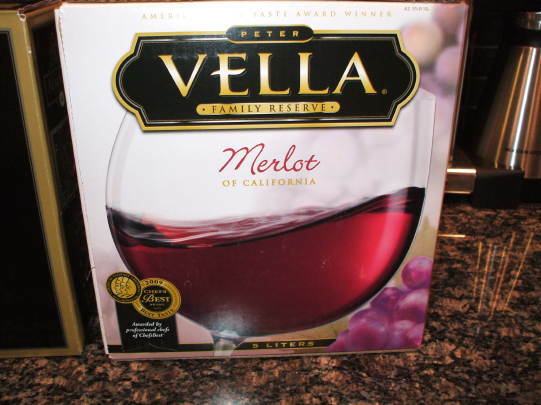 Ultimately I had to give top honors to the Vella. His years working with Ernest and Julio have paid off handsomely for us. 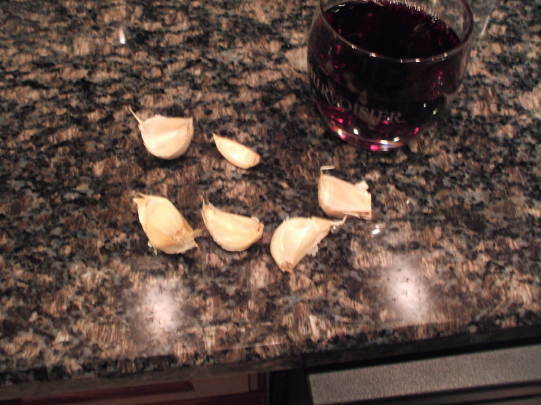 It just…satisfied me more. 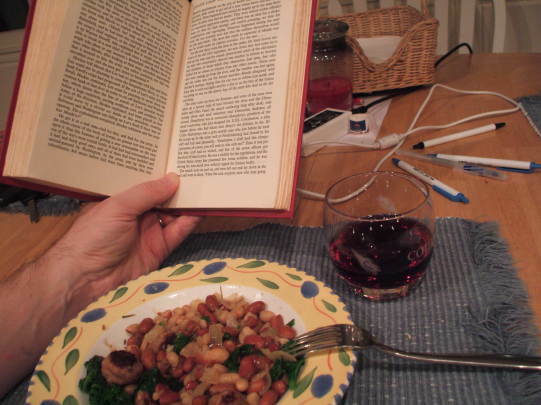 I could easily just have the box on the counter and relax every evening with a glass or three whilst talking with my Bride and enjoying a meal; in fact, I did relax for many evenings with three boxes on the counter. 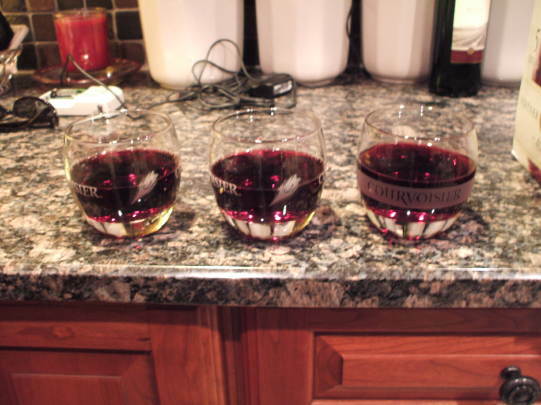 A pleasant wine greatly enhances life, friends. 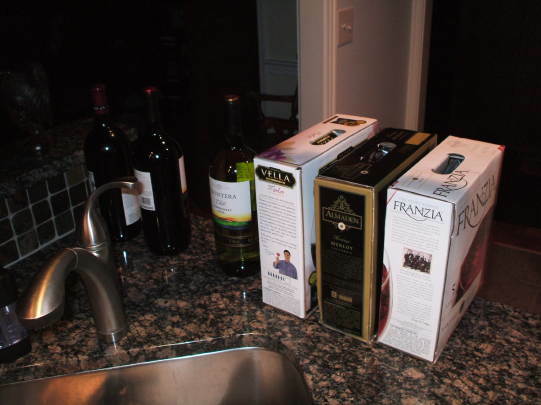 The really nice thing about these boxes is that the wine stays fresh, as no air gets in to spoil them. In these nervous times these wines are a great value. 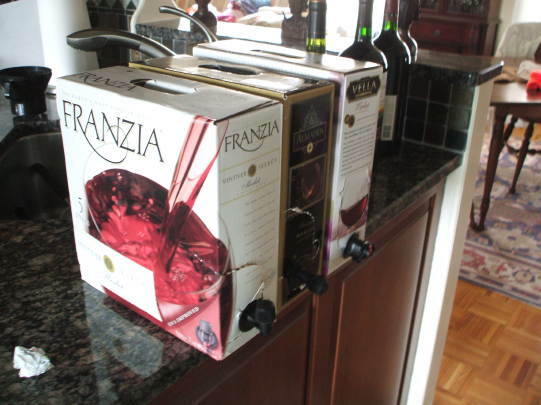 I really won’t buy the Franzia again, but I wouldn’t hesitate to buy either the Vella first or the Almaden second again.